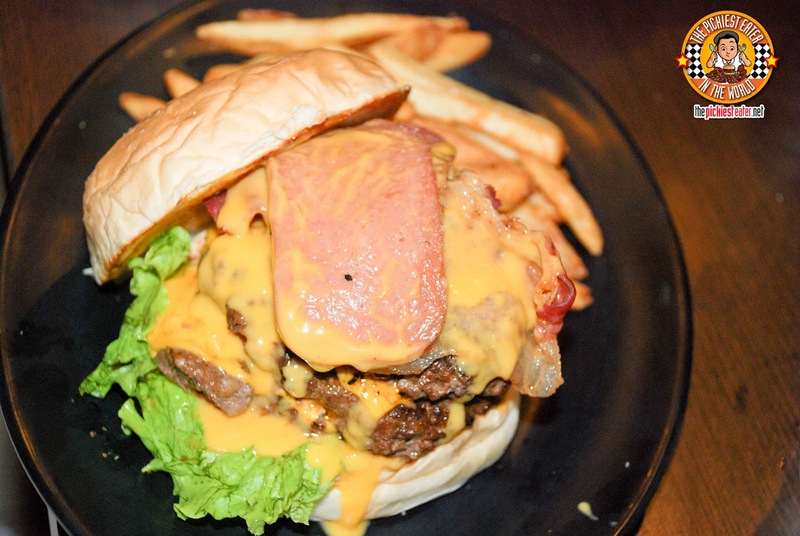 THE PICKIEST EATER IN THE WORLD: ZARK'S BURGERS JAWBREAKER DAY! Ever since I found their fan page on facebook, I've been a huge fan of Zark's Burgers. In a world where every restaurant tries to become more "organic" and low-fat, etc.. Zark's Burgers takes pride in serving the greasiest burgers in the country.. and makes no apologies for it. These are perhaps the most sinful, decadent menu I have ever seen in my entire life.. and trust me.. I've studied a lot of menus for burger restaurants in my time. 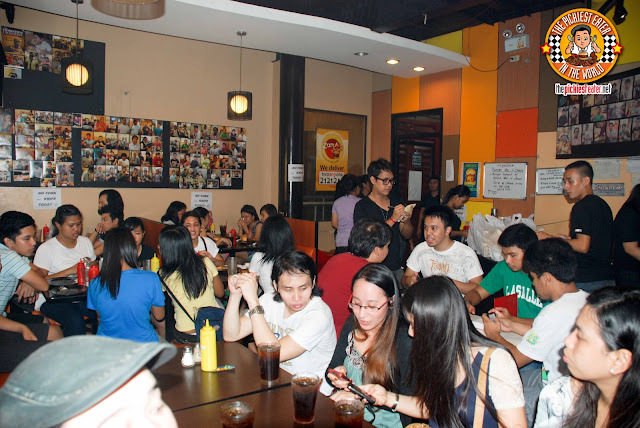 Since they're located at Taft Avenue right in front of De La Salle University, Zark's Burgers decided to allocate a day at the start of every semester, which was meant to be their way of welcoming the new students to college life, by slashing the cost of one of their best selling burgers, The Jawbreaker, from P250 to P150. Seven semesters later, "Jawbreaker Day" has become much more than that. It has become a La Sallite's rite of passage. A bonding event between friends and family. The lines were insane, causing traffic jams and even catching the attention of ABS-CBN. Unfortunately because of that, I had never attended any of the Jawbreaker Days. Then I got a text from the Man himself, Zark, asking if I was interested in witnessing the event for myself. You can imagine what my reaction was. Word of advice: When you get an opportunity to eat at Zark's Burgers, you do NOT let it pass you by. So yes, as soon as I got the invitation, I did a little dance of joy. 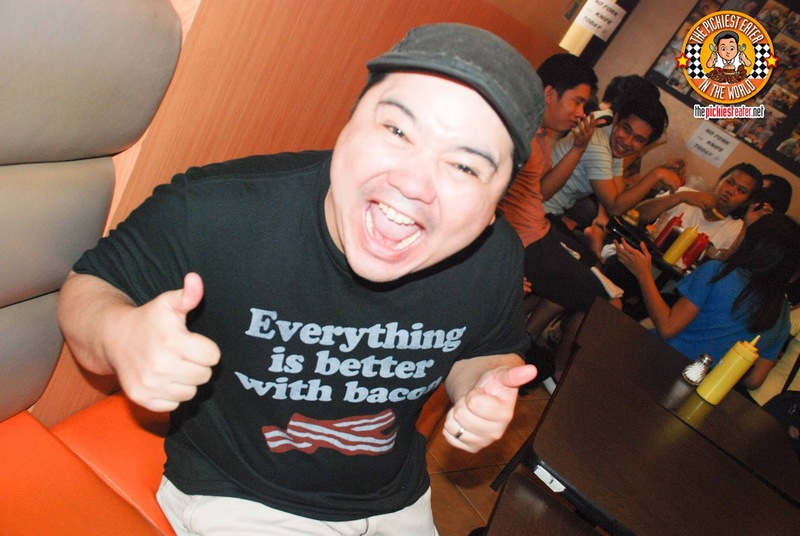 With the previous Jawbreaker Days causing such a commotion along Taft Avenue, Zark's Burgers decided they needed a more efficient system to help avoid people waiting for up to seven hours for a burger. So this was the first Jawbreaker Day that they implemented a "Ticket System". Customers can purchase tickets as early as 6am on the morning of Jawbreaker day. If available, they can choose what time slot they would prefer. 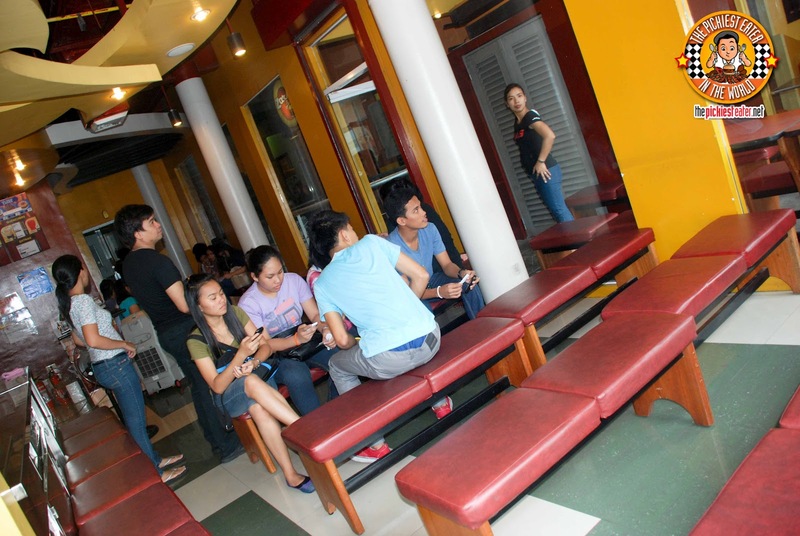 When your time slot is near, you are stationed at the designated waiting area until a table is available. This is a much more better option than waiting it out on the street, rain or shine. We got our table by 12noon, and I was joined by a few other bloggers, "The Purple Doll", "Its Beryllicious", "Tsinoy Foodies", "Silkenhut", and "Dekaphobe". It would be my first time to meet the three lovely bloggers that comprise "The Foodies Circle" in person, but I had met Alan and Michy before. Nonetheless, we were all excited to eat! I knew what to expect and I was pumped to get my Jawbreaker on, and I even had my T-Shirt on to prove it! The food bloggers that were Zark's Burgers newbies, had one common reaction upon seeing the Jawbreaker for the first time up close and personal. How could you NOT be floored by the sight of this triple patty burger, topped with spam, bacon, and an oozing cheese sauce with a side of fries and an Iced Tea.. All for P150! we took a moment to pause and say Cheers! When you come face to face with the Jawbreaker, you can't help but feel intimated. You are absolutely lost with where to start. My advice is, just dig in with reckless abandon. There is no wrong way to eat it. Of course I had to take out the tomato. Because, you know.. Adding tomato to it was just too much. The scary part about this? The Jawbreaker isn't even their biggest Burger! I won't lie to you.. There is no way in hell I could finish that entire burger in one sitting. In fact, i wasn't even able to finish half of it! 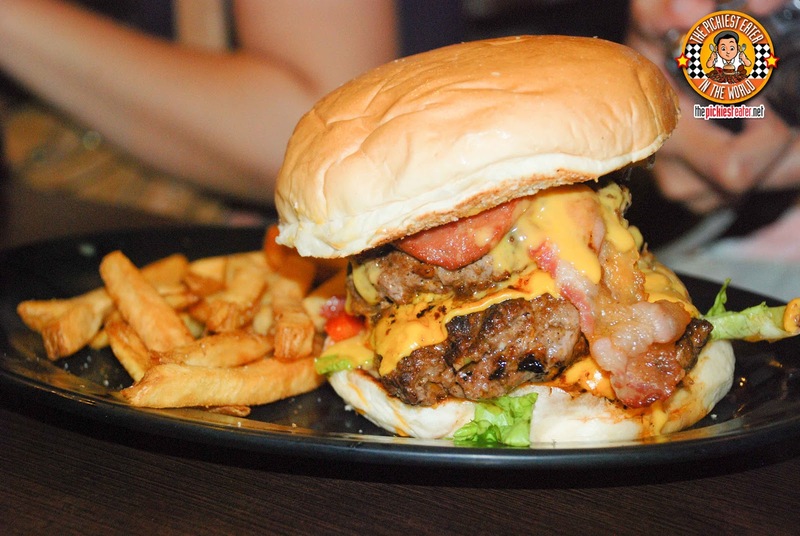 As delicious as the Jawbreaker was, my favorite burger from Zark's is still the Deep Fried Burger.. And YES, its as deadly as it sounds. 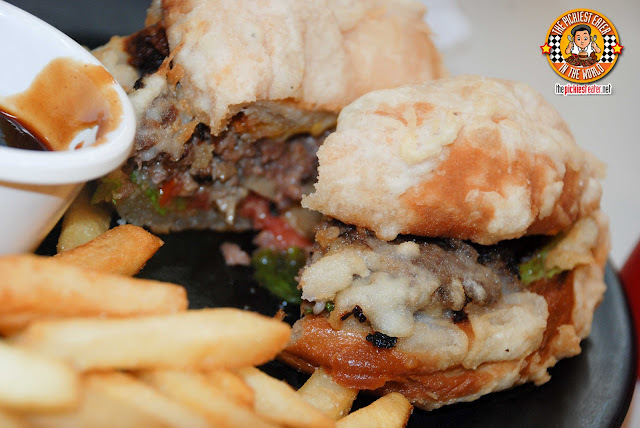 They take a burger, roll it in pancake batter, then throw it into a deep fryer, giving it a crunchy bite. 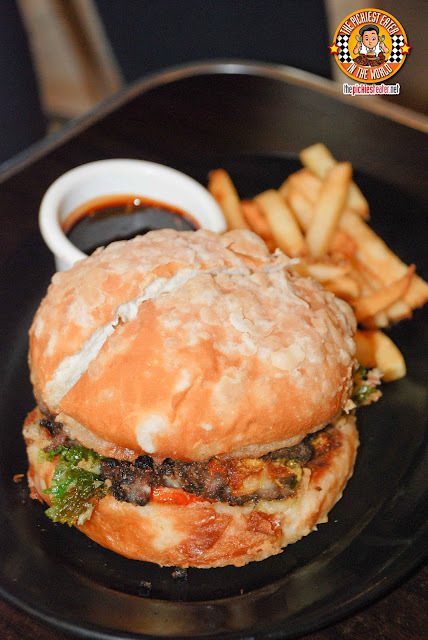 The dish comes with a tangy sweet BBQ Rum Sauce that serves as the perfect counter to the burger, which others might be too creamy or rich. As delicious as it is, I wouldn't recommend eating this very often. Even Zark himself warned me.. This is the greasiest burger on the menu. Is it a coincidence that this is my favorite? Seriously though, I swear I could hear my heart beat faster than ever after polishing it all off. 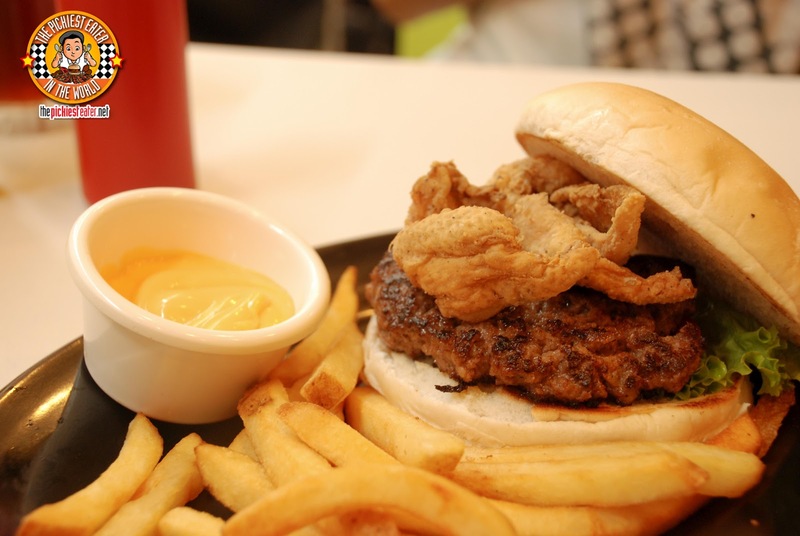 Rina's personal favorite is the Floyd Chicken Burger (P135).. Which isn't a chicken patty burger, if that's what you were thinking. A healthy lean meat chicken patty? Please. That ain't how Zark's Burgers rolls. It's actually an all beef patty burger, topped with a deep fried piece of CHICKEN SKIN. 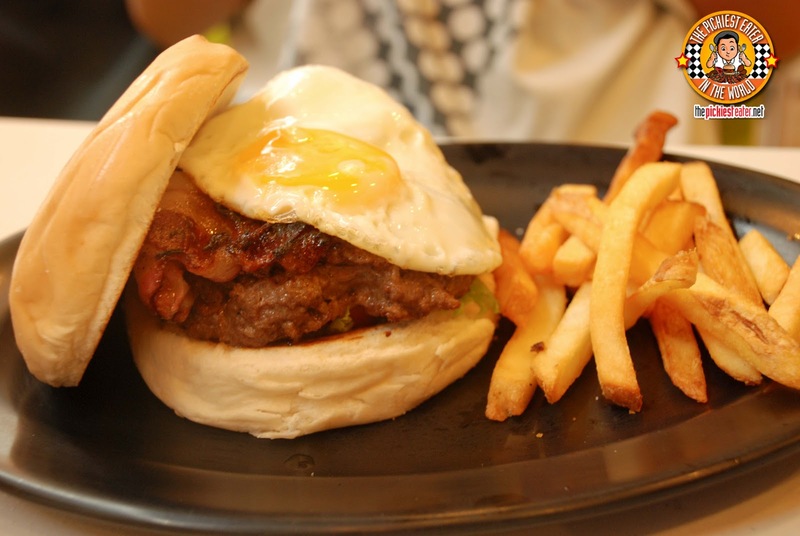 People who want their breakfast on the go, can go for Zark's Breakfast Burger (P180). The burger is a 1/2 pound patty with a beautiful slices of bacon and a sunny side up egg placed on top. which is Nachos drizzled in Cheese sauce and bits of bacon. Zark's is a restaurant that you need to experience. I have to warn you, your shirt will smell like burgers afterwards, however it's going to be totally worth it! I haven't been there and never tried their burgers. But it looks so great. Give it a try! you might need to run an extra 5k immediately after just to burn it off tho! On November 11, 2012, after completing the Power Run 25K, I'll go to Zark's immediately and have my post-race meal of Tombstone burger haha (this will break the rule of my regular post-race meal of icy chocolate milk and banana). I wanna try Deep Fried Burger! 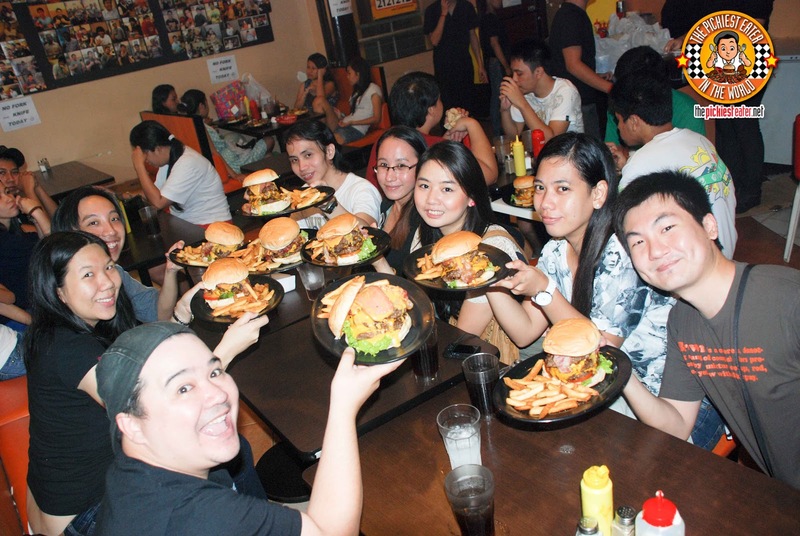 :D Pickiest Eater try the Tombstone Challenge! Haha. Dude I ordered the tombstone one time and I got full just LOOKING at it!!! Probably not, but i assure you that you'll have a fun time trying!! Deng! I think I might want to visit them again. disturbing really and it's located across a school. shouldn't the city health department put a stop to this madness? Believe it or not, that's something I asked the owner, and he showed me that he had all the required permits, including papers from the DOH. 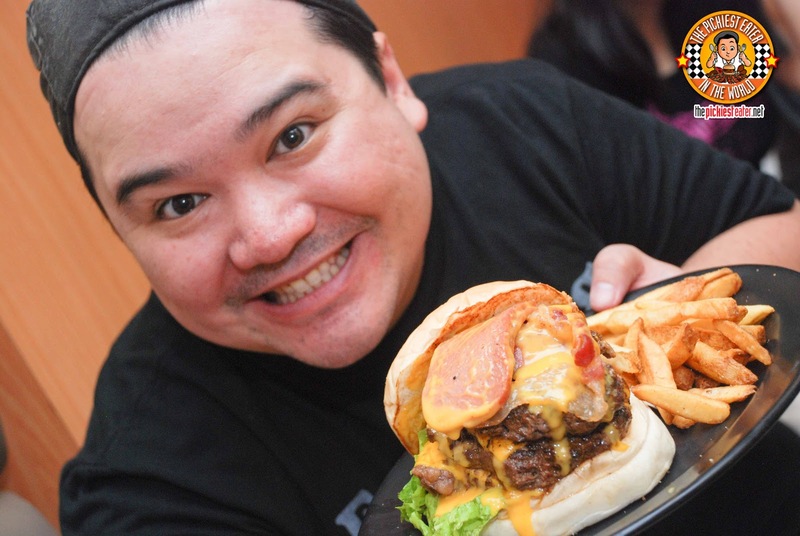 However, when they were featured by ABS-CBN, Department of Health Assistant Secretary Dr. Eric Tayag went on record to stress that "monitoring one’s consumption of unhealthy foods like burgers is crucial as these may result in serious health risks, from obesity to stroke." Guia, Zark made another burger.. but instead of Chicken skin he topped it off with.. are you ready for this...? The man is clinically insane I tell ya!!! I have to admit! We underestimate this burger. It was really huge! The biggest burger we've encountered so far. 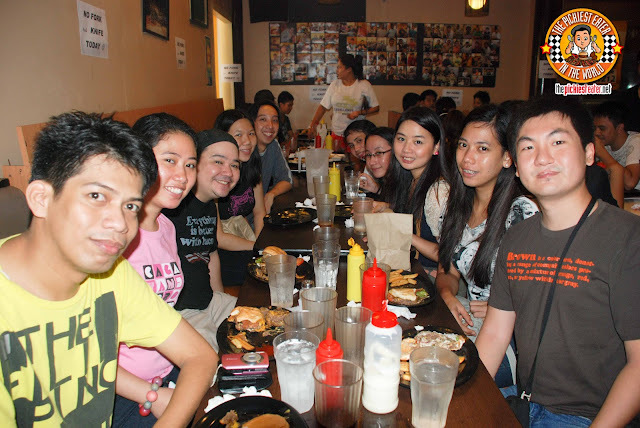 =D It's a pleasure to share this awesome burger experience with you. 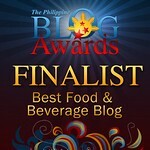 My gulay, I know what to eat after the next Condura Skyway Marathon!!! What a really great blog to read! You don't just go visit this and that new place and take photos and write sucky, half-assed entries then get famous. No, it's a vicarious thrill. 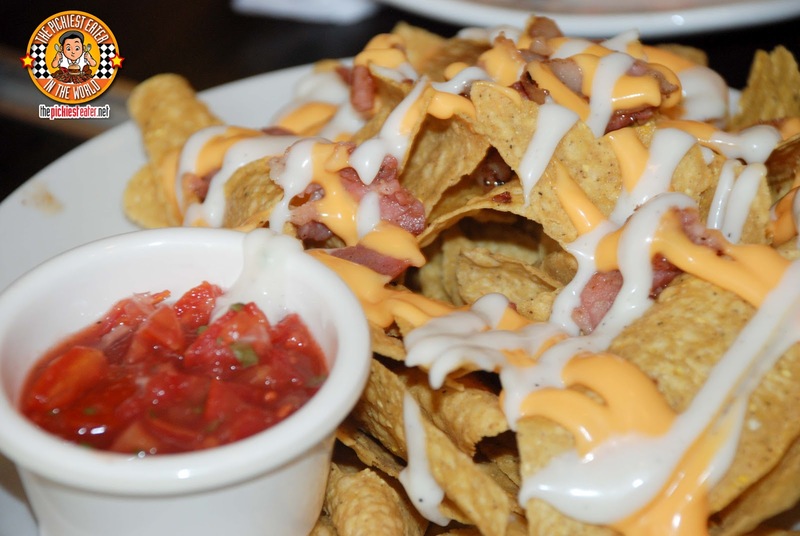 I've never been to Zark's but I definitely will because of your no-nonsense piece. Kaya mo yan! haha see ya soon, Sumi!